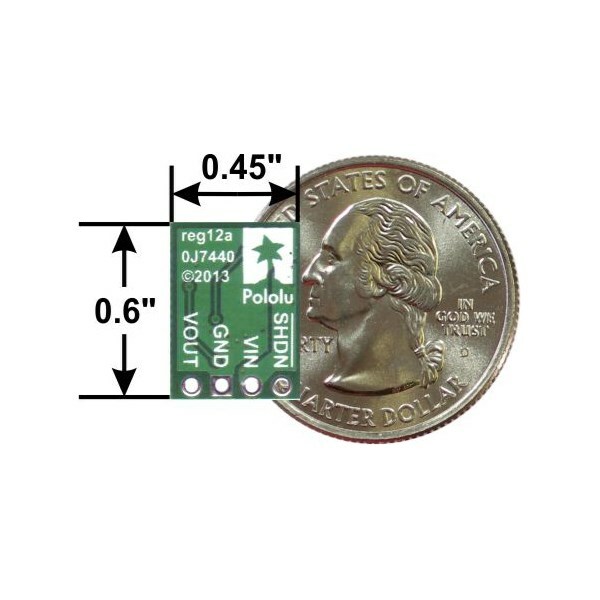 The Pololu 3.3V Step Up Boost Voltage Regulator provides a stable voltage from as little as 0.5V. 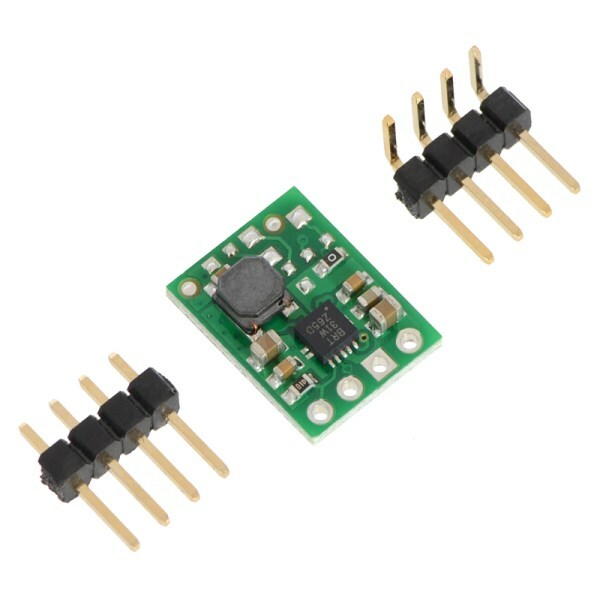 This compact switching step-up boost voltage regulator can provide a steady 3.3V output from input voltages from 0.5V to 5.5V. It operates at up to 90% efficiency with an output accuracy of 4%. This 3.3 volt switching regulator features an optional shutdown pin that can turn off power at the load. It consumes less than 100µA in the shutdown state. This tiny power supply module can handle for input currents up to 1.2A. This power supply is ideal for 3.3V robot projects that need to run from a small number of batteries. It includes two sets of optional male headers that require soldering. 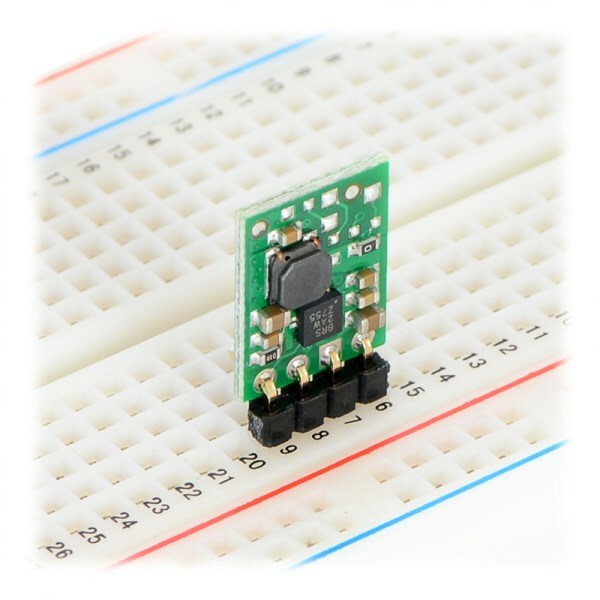 The headers have a standard 0.1" spacing for breadboard compatibility. Connect a 0.5-5.5V power supply to the input voltage (VIN) and ground (GND) pins. 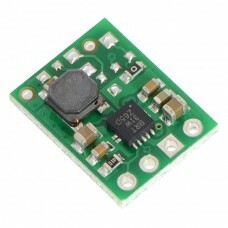 Access the regulated 3.3V from the output voltage (VOUT) pin. You can also switch the power off by using the shutdown (SHDN) pin. When not connected, the shutdown pin is pulled high to keep the power on by default. Pull this pin low to shutdown the regulator to converse power as needed. Supply voltages above 4.5V can cause initial spikes that are potentially hazardous to the circuitry. Spikes can be suppressed by soldering a 33 µF or larger electrolytic capacitor close the board between the VIN and GND pins.